Hepatitis is an inflammation of the liver. It can be self-limiting or can progress to fibrosis (scarring), cirrhosis or liver cancer. The most common cause of hepatitis in the world is Hepatitis virus however other infections, toxic substances (e.g. alcohol, certain drugs), and autoimmune diseases may also lead to hepatitis. There are 5 main hepatitis viruses, referred to as types A, B, C, D and E. These are of great concern because of the burden of illness and death they cause and the potential for outbreaks and epidemic spread. 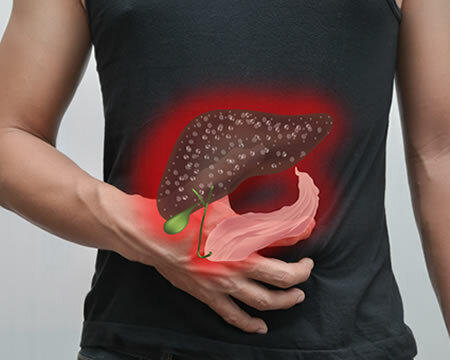 Altogether, types B and C result in chronic disease in hundreds of millions of people and are the most common cause of liver cirrhosis and cancer. While Hepatitis A and E are caused by ingestion of contaminated food or water, Hepatitis B, C and D occur due to parenteral contact with infected body fluids. The most common modes of transmission for such viruses are transfusion of contaminated blood or blood products, invasive medical procedures involving contaminated equipment and for hepatitis B transmission from mother to baby at birth, from family member to child, and also by sexual contact. Acute infection may occur with few or no symptoms at all, or it may include symptoms such as jaundice (yellowing of the skin and eyes), dark urine, extreme fatigue, nausea, vomiting and abdominal pain. Which countries are at risk? Hepatitis is present throughout the world but mainly found in Africa, Asia, Central and South America. It is frequently found in Africa, Indonesia, China, Korea, Philippines, Middle East, Haiti, Dominican Republic and the Amazon River Basin. However, countries like, Russia, Japan, South West Asia, Eastern and Southern Europe have witnessed lesser cases of severe hepatitis. The acute phase is not usually dangerous, unless it starts to worsen which can lead to death. Yellow skin, whites of eyes, tongue (jaundice). If you are planning to travel outside the UK to countries with a higher risk of hepatitis, we strongly recommend the Hepatitis vaccination at your nearest travel clinic in Kingston upon Thames.